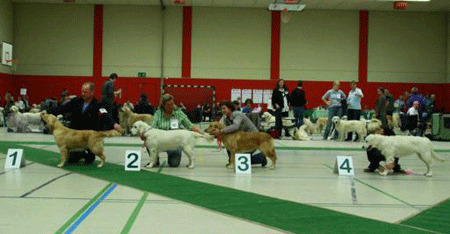 fokker: Mevr. 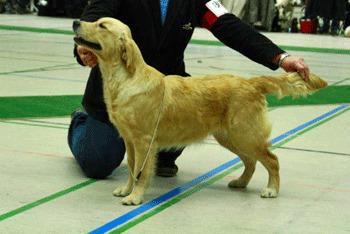 Mia Van Acker. 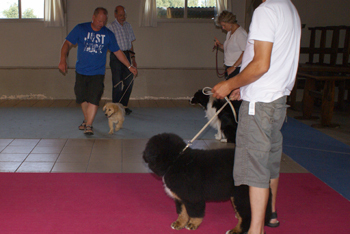 11 weken - June's eerste zwemlessen ! 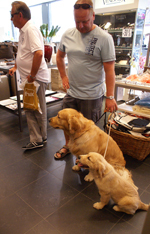 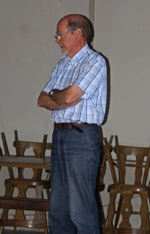 Tentoonstelling Happening te Ardooie op 14 aug.
June 5 maand - aanleren apport ! 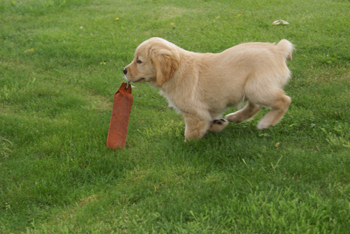 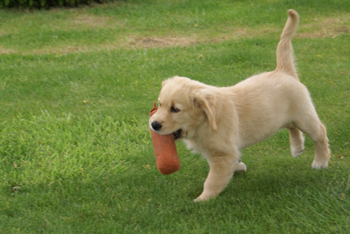 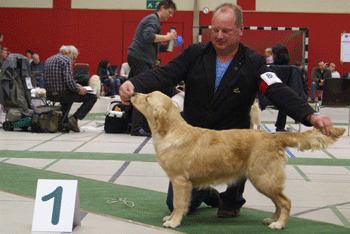 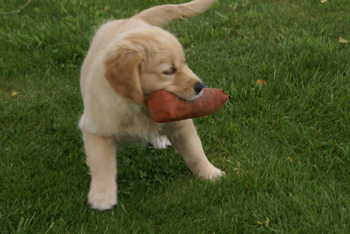 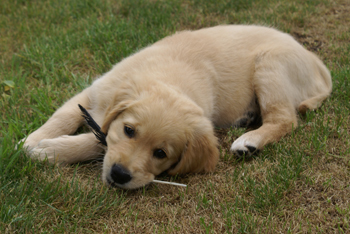 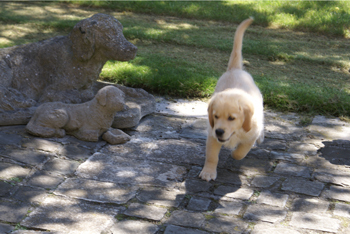 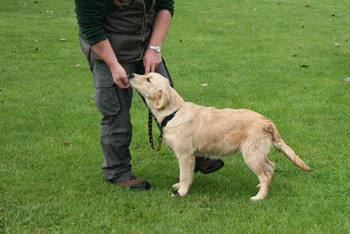 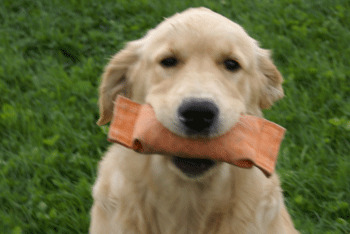 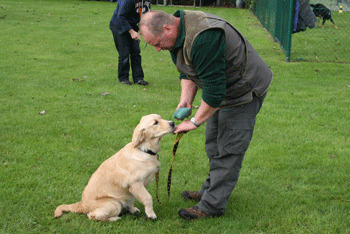 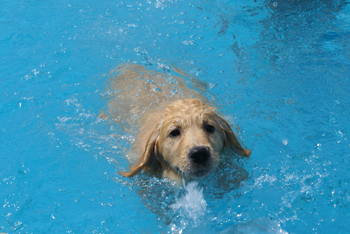 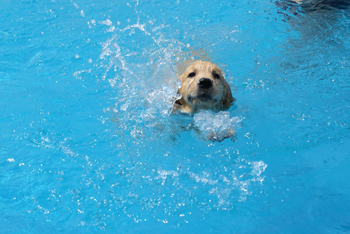 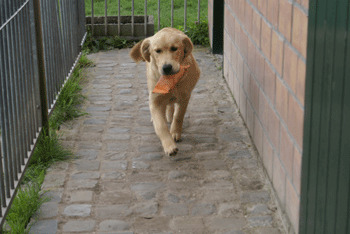 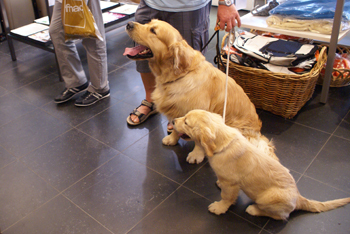 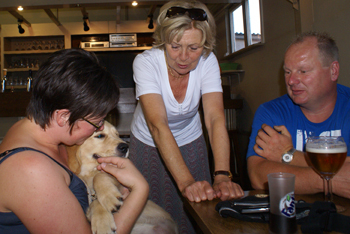 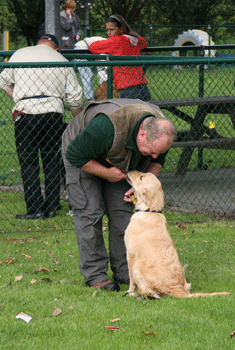 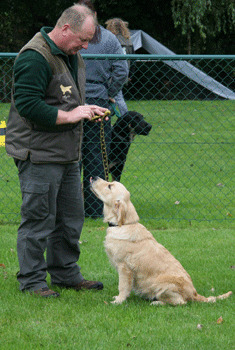 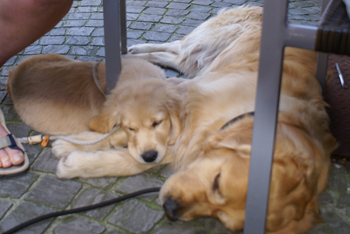 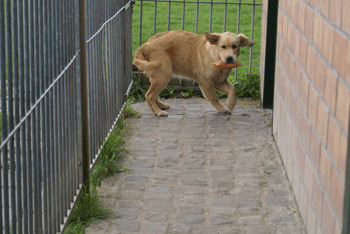 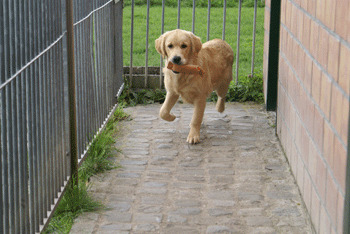 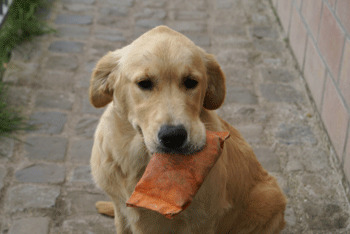 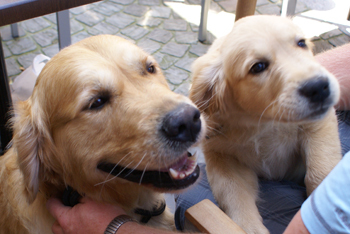 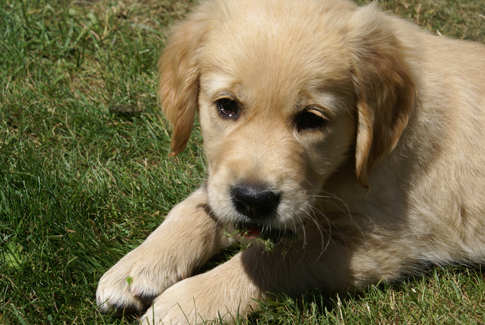 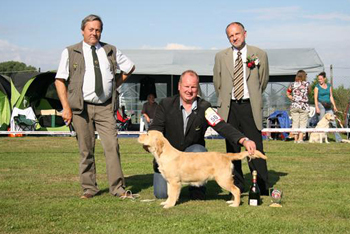 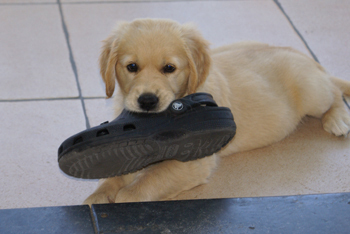 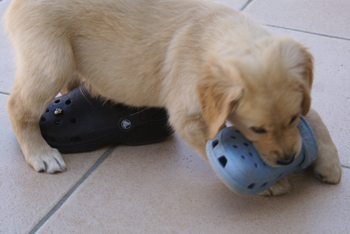 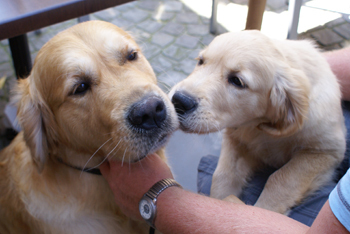 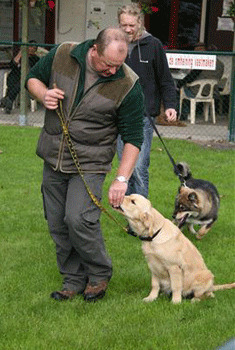 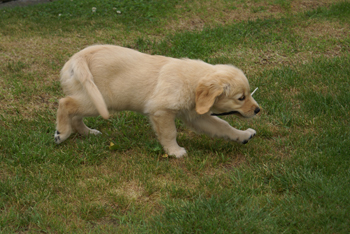 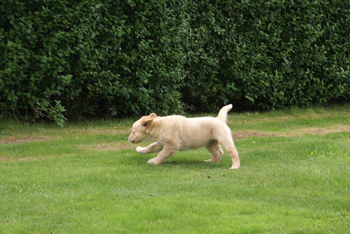 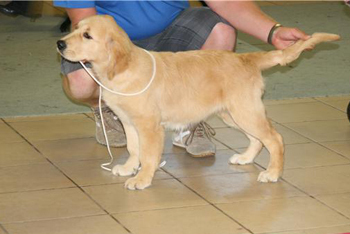 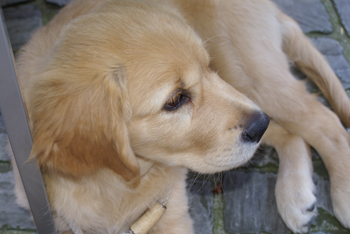 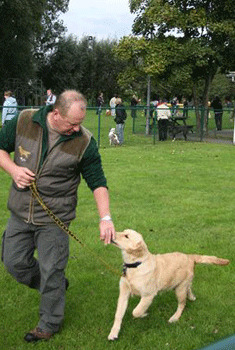 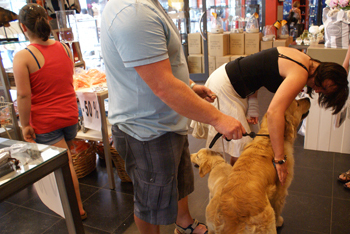 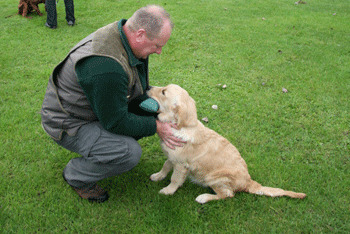 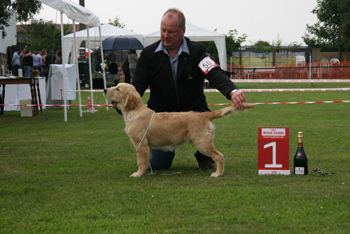 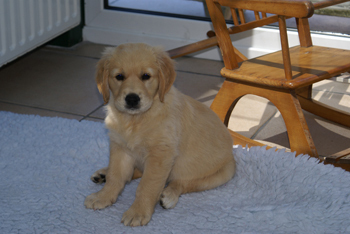 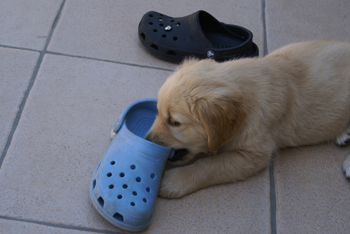 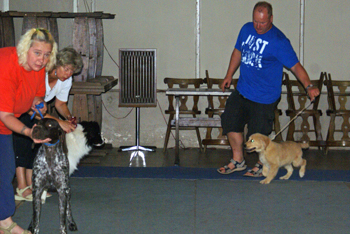 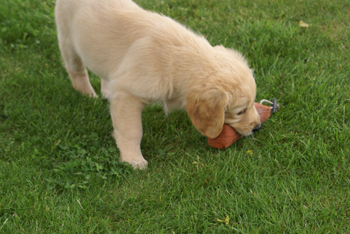 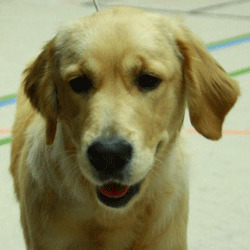 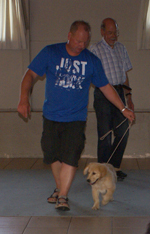 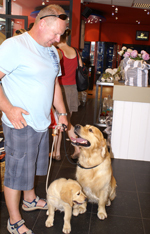 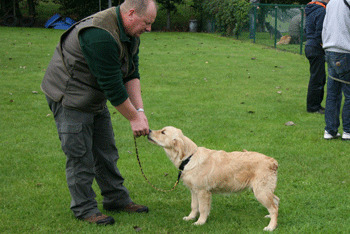 Wheaton's June was beste puppy - teef - in Bonn op de Rheinlandschau op 30 okt. 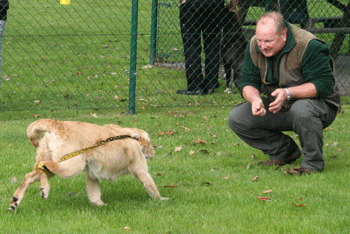 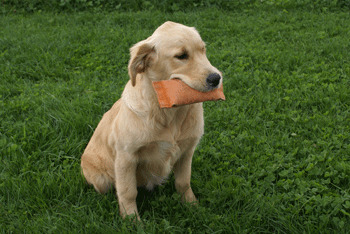 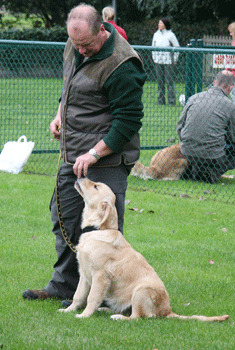 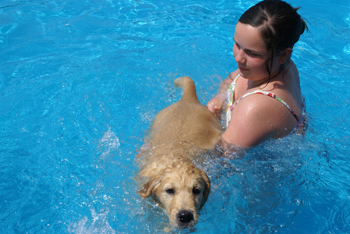 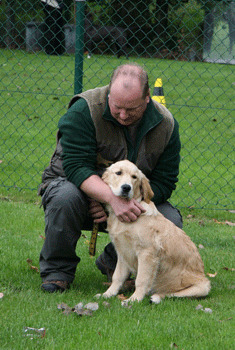 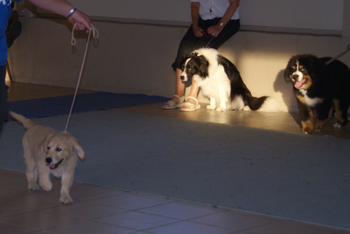 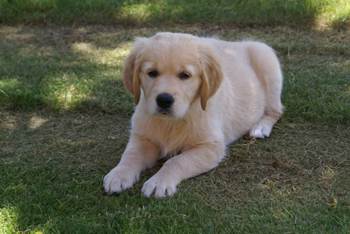 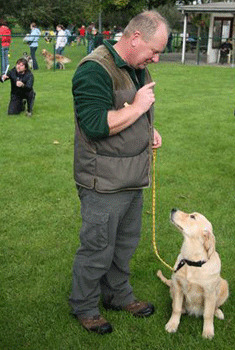 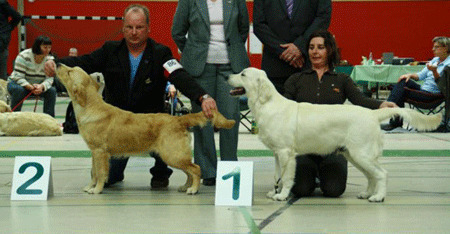 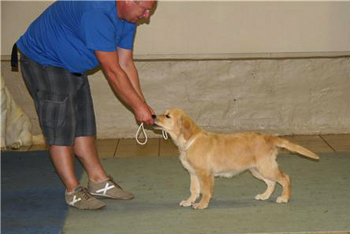 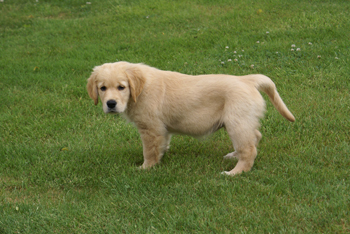 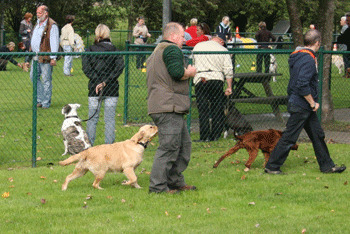 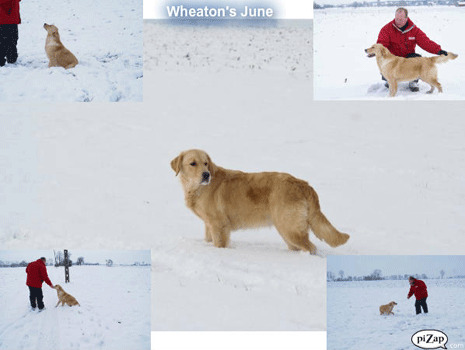 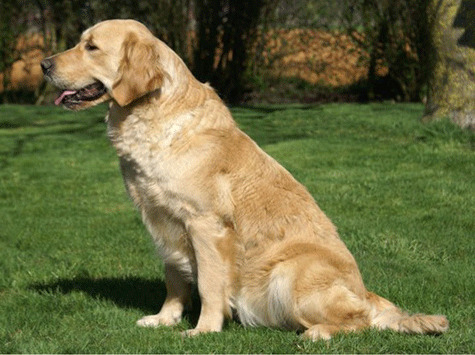 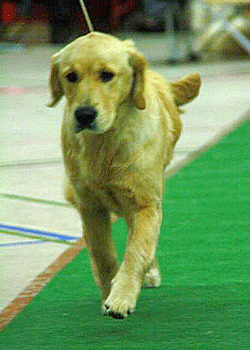 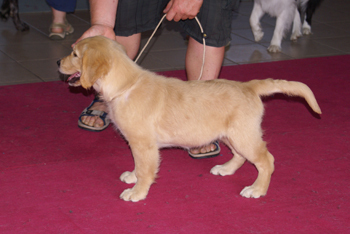 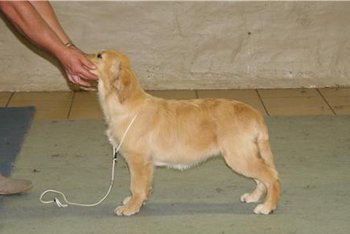 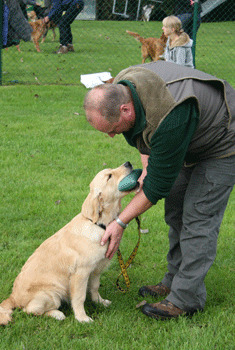 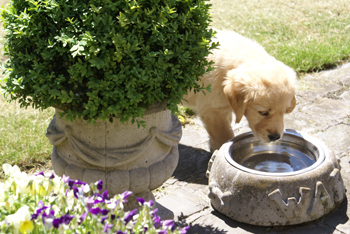 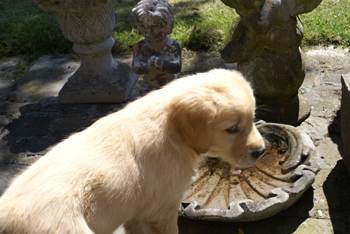 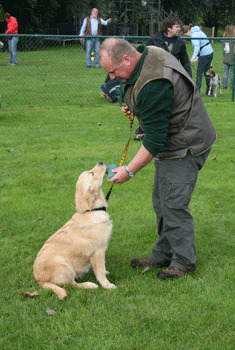 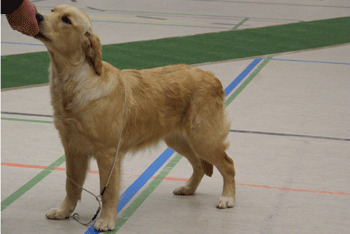 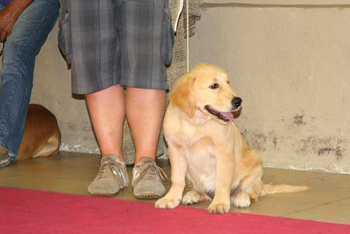 Wheaton's JUNE - First place - Very promising - Puppy female. 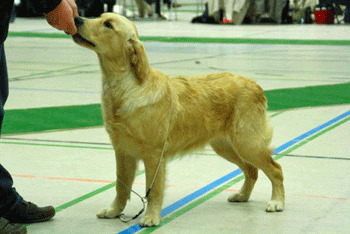 Well balanced head with the sweetest expression, good pigment and eye colour, good reach of neck into well placed shoulders , good bone and feet, deep through the chest, short coupled, well turned stifle, moved well for one so young.